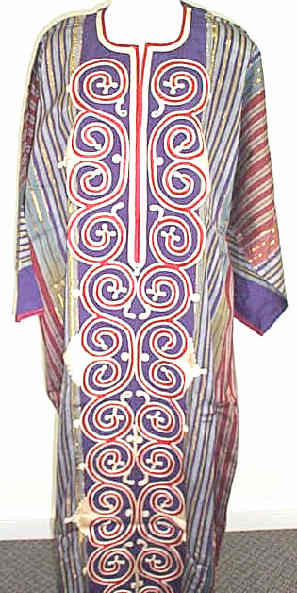 Moire silk look caftans in assorted striped patterns and Arabesque trim. Long sleeves. Call, e-mail, or fax us for what’s in stock.